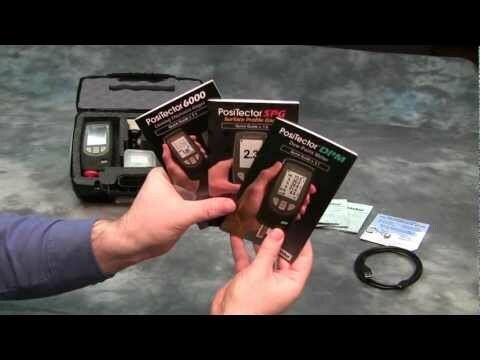 PosiTector Inspection Kits contain a PosiTector gauge body (Standard or Advanced) and 3 probes – coating thickness, environmental and surface profile, plus accessories in a convenient hard shell carrying case. Available with your choice of Standard or Advanced Gauge features. Each PosiTector body accepts the PosiTector 6000, DPM, and SPG probe included in the kit easily converting from a coating thickness gauge to a dew point meter or surface profile gauge. Select from 8 pre-configured kits (build your own - custom kits also available).